NOTE: THIS IS NOT THE CURRENT COURSE! The current running instance of study period 3 (January - March) 2018/2019 is located here. Note: the website for the Principles of Concurrent Programming course given in study period 3 (spring 2018) is available at this URL. 2019-01-17: The re-exam on January 9 has been graded and should be visible in Ladok shortly. In case of obvious wrong grading, take a picture on the exam sheet and email Prasad to book a meeting. 2019-01-10: The answers for the re-exam of TDA384/DIT391 and TDA383/DIT390 can be found here. 2018-12-26: The exam for TDA384/DIT391 will follow the style of the exam on 27 Oct 2018, with one difference. The exam of 9 Jan 2019 will show pseudo-code in the main text, and the corresponding Java code in an Appendix, so that you can work with whichever you prefer. The Erlang code will only be shown as such; we will not use pseudo-code for it. The exam for TDA383/DIT390 will be the same as the exam for TDA384/DIT391, except for the last question. The last question for TDA384/DIT391 will deal with multi-core issues, while the last question for TDA383/DIT390 will deal with monitors and related issue. 2018-11-27: There will be an exam review on December 4, 12:00 - 13:00 in room “Analysen”. You can check your answer script before at the student office (opening hours here), to help decide if you want to come to the exam review or not. 2018-11-16: You can find solution sketches for the exam here. 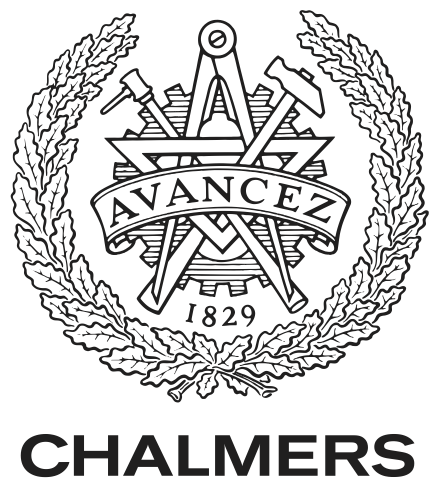 Chalmers students should already have received their exam and lab results. The course grade has been held up because of illness and other delays with Ladok, but should be no mystery. Add up your lab and exam marks, and follow the formula on the exam front sheet, and you know your course grade. GU students: we finished grading your exams too, but Ladok for GU is taking time to start up, so we cannot tell you your results that way. Sorry, but this is beyond our conrol. 2018-10-29: If you failed one of the earlier labs, but passed the remaining two, please contact the TA who graded the failed assignment to be able to re-submit. The final deadline for the third lab is the final deadline to have passed all the labs. 2018-10-26: The exam tomorrow takes place in the H buildings, which is the buildings with the lecture halls. The exact room location will be posted on the doors to the H buildings tomorrow. 2018-10-24: In case of unequal load balance on the lab sessions tomorrow, we will shift groups from one room to another. We will not change the time for the group, so please double check on the doodle before attending the demo session so you go to the correct room. 2018-10-18: There will be a lecture tomorrow (Friday) at the usual time. The topic is “Further examples and proofs”. 2018-10-05: The final student representative meeting for the study period will take place on Monday, October 8, after the lecture. 2018-10-02: Please note, there will be a lecture on Friday, October 5 at 15:15-17:00 in HC4. 2018-09-25: The exam will be on Saturday, October 27 in the afternoon. Don’t forget to sign up! The exam will be supervised by Sandro Stucki, who will be responsible for the spring instance of the course. 2018-09-25: Prasad will be away the week starting from Monday, October 22. The lecture for Monday, October 22 is TBD, and there will be no lecture on Friday, October 26. 2018-09-25: There will be a meeting with the student representatives after the lecture on Friday, September 28. 2018-09-18: Questions about the subject or about problems/programs used in lectures, textbooks, etc., should be posted to Piazza, not mailed to individual members of the teaching staff. We will answer them as soon as we can. Meanwhile, the question might be answered by fellow students, or might start a discussion, which is the purpose of the forum. Again, to sign up to Piazza, go here and follow the instructions. 2018-09-17: In order for GU students to sign up to the class at Piazza, you must use the address cid@student.chalmers.se, where cid is the username you use to log in on the computers in the lab room. To read your Chalmers emails, you should go to the Chalmers student portal, and use the same cid to log in. 2018-09-13: We removed the “hint” that one try-catch block is enough for lab 1, because many acceptable solution will require more than one. 2018-09-12: LAB GROUPS consist of two students each, and this is a strict requirement. You must find a lab partner by yourself, via Piazza (preferably) or other means. Once you have found a partner, you request a group code in Fire, and your partner then joins the group using the group code. The groups will remain the same for all labs. Please contact us (the TAs) only after failing to find a partner via Piazza. 2018-09-06: It seems GU students are not able to get e-books from the Chalmers library. We have asked the GU library to get the e-book for The Art of Multiprocessor Programming, Revised Reprint, 1st Edition by Maurice Herlihy and Nir Shavit, and it can now be found here. It can take a few days until you can find it in Supersearch. 2018-09-06: The class at Piazza is the course forum, where you can, e.g., find lab partners and ask general questions. 2018-09-06: In order to sign up to our class at Piazza, use this link. Please select “Student”, and then click “Join Classes”. After this, you will be asked to provide a Chalmers e-mail address and verify the account. 2018-09-05: We had a larger than anticipated response to our Promela tutorial this year, and some people turned away for lack of space. We’re sorry for the disappointment and inconvenience. But you can do the tutorial by yourself. Just follow the tutorial with the web interface, and take the errata into account. If you do it during the lab time on Thursday, Andreas can help you if you need it. 2018-09-04: On the lab session on Thursday, September 6, you are supposed to work on the Java exercises. 2018-09-04: The fire system and Piazza are up, and you are welcome to start registering. 2018-08-28: The exam review (“tentagranskning”) for the re-exam that took place on August 22 is on Friday August 31 at 09:00 in room EDIT 5128. 2018-08-27: The first session is not for the labs. It is a tutorial introduction to concurrent programming, running Promela examples. In the tutorial we will use the SPIN web interface together with our Promela Tutorial and a minor errata. The tutorial is not compulsory, but you are strongly urged to attend. We will survey some of the ideas that we will use throughout the course. 2018-07-02: GU-students must register themselves via the GU student portal on the first day of the course. We cannot help you if you fail to register to the course. 2018-07-02: The website is live! Please note that all the information is still tentative and subject to change. The discussion forum in Piazza, where you can ask questions about the course to other students and to the instructors. Sharing solutions of labs is forbidden — in Piazza as anywhere else.